Rest and recreation rather than labor was the order of the day as Boxer & Gerson attorneys Dennis Popalardo and Deirdre Mochel treated their families to the Alameda Labor Council’s Annual Labor Day Picnic at Alameda Point Park. As always, the event attracted multiple sponsors from the broader union movement in the region and served as a fundraiser for a worthy cause. 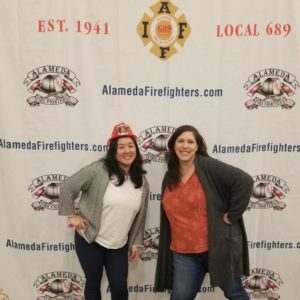 All proceeds after expenses were donated to the Alameda Labor Council’s Hardship Fund, which supports union members suffering through difficult economic circumstances.